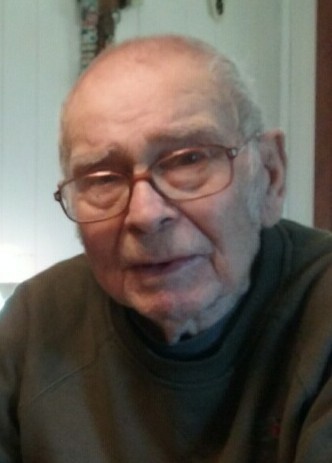 Charles K. Bollinger, 93, of state Route 103 South, McVeytown, went to be with the Lord and rejoin the love of his life on Sunday, April 7, 2019 at the home of his daughter and son-in-law, Susan and Kenneth Civitts. Born June 16, 1925 in McVeytown, he was a son of the late Lillian (Machamer) Huffman and the late Foster Bollinger, and a stepson of the late Daley Huffman Sr. He was raised by his maternal grandparents, the late Lawrence and Alice Machamer. His wife, Alice R. (Boozel) Bollinger, preceded him in death on Aug. 10, 2016. Surviving are: three children, Charles A. Bollinger of San Francisco, Susan C. Civitts and husband Kenneth of McVeytown, Dolores J. Keller and husband Gifford of McAlevy’s Fort; seven siblings, Daley Huffman Jr. of McVeytown, Ruth Armstrong and husband Ira of Mount Union, Anna Mary Smith of Lewistown, Donald Huffman and wife Betty of Mifflin, Shirley Boonie of Orbisonia, Jean Treaster of McVeytown, Robert Huffman of Lewistown; nine grandchildren, 19 great-grandchildren; and four great-great-grandchildren. Preceding him in death were four brothers, Miles, William, Glen, and Bruce Huffman; and a great grandson Derek Keith Whitsel. He was employed at Pa. Glass Sand and U.S. Silica, retiring with 43 years of service. Charles was a member of the Ryde United Methodist Church, and enjoyed hunting as a member of the Hesser Camp in Licking Creek. A funeral service will be held at 11 a.m. on Saturday, April 13, 2019 at Harshbarger Funeral Home, 3 South Market St., McVeytown, with Pastor Brian Myfelt officiating. Interment will be in Pleasant View Cemetery, Mattawana. A viewing will be held from 6 to 8 p.m. on Friday at the funeral home. Memorial contributions may be made to the Ryde U.M. Church, 80 Ryde Road, McVeytown, PA 17051.